A creative way to build your writing and story-making skills. Tell us a story: go on! Do you love stories? 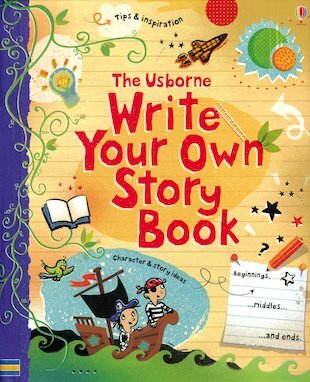 Have you ever thought about writing your own? It’s your chance to add in all your favourite bits – whether that’s pirates, dragons, fairies or space adventures! There are lots more good things about it too, like getting to choose your own heroes. Want to try? Here’s your toolkit. The first half tells you how to write, with tutorials and tips. Ready? Then turn to the second half for themes and ideas. Fill your head with inspiration.